Downtown East, from the Brooklyn Bridge to Houston Street, from the East River to the Bowery. 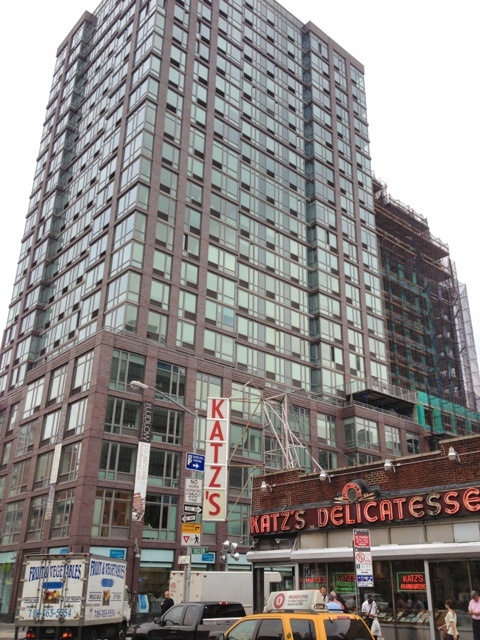 The Lower East Side is a big swath of Manhattan that ranges from the historic — renters can still find a great selection of walkups, mostly without doormen — to the modern. Blue, a bold new condo from French abstract architect Bernard Tschumi, offers Lower East Siders a roof terrace and a cold storage locker for Fresh Direct deliveries in addition to 24-hour doorman service. At 17 Orchard on the Lower East Side, floor-through condos with oversized windows have stacked washer/dryers and custom cabinets. Yet there is no question that amidst the luxury condos the Lower East Side still has relics of its historic pushcart past. 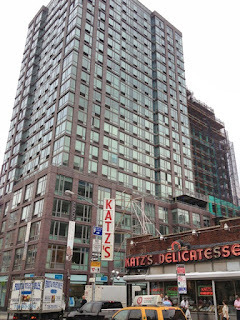 One of the most famous of these is Katz’s Deli, a local dining landmark open since 1888, which draws customers from both downtown and uptown. On the Bowery in the Lower East Side, you can still find restaurant supply shops that offer steel shelves and kitchenware that feeds dozens for sale. Buyers seeking space should head down to the Lower East Side’s Grand Street Co-ops, a collection of 4,500 apartments organized into four complexes — Amalgamated, Hillman, East River Housing, and Seward Park. When these elevator co-ops were built they replaced darker walkups and were seen as the model of Lower East Side luxury; even today, buyers are attracted to their spacious layouts and common green spaces. Many units also have balconies, and some have wonderful views of the East River. If you’re going out on the Lower East Side, your options are many and varied, ranging from music venues like Arlene’s Grocery to Bowery Ballroom to the Mercury Lounge to Cake Shop, where you can have slices of cake with frosting and see your bands too.